Do you feel that not counting calories is the only thing stopping you from losing weight? Don’t be too quick to make such a conclusion. Counting calories has a few side effects you may not know about. You may even be surprised to find out most people underestimate their caloric intakes. In this study, obese subjects underestimated their caloric intake by 47 percent. Even nutrition experts can’t seem to accurately estimate how many calories they’re eating. Even if you are very meticulous and can accurately estimate the calories on your plate every time, you might still experience negative side effects. Beware the side effects below before you start counting calories. 1. Counting calories can increase your stress levels. Tracking calories at every meal can lead to stress, which in turn makes it harder to lose weight. Stress can trigger accumulation of belly fat due to high cortisol levels. Plus, it can cause binge eating. In one study, researchers gave participants the same amount of calories. One group was told to track their calories while the other ate normally. Results showed that the group that tracked its caloric intake had higher cortisol levels. 2. Counting calories can make you hungry. You’re probably thinking that any kind of calorie restriction will make you hungry, but that’s not what I’m talking about here. People who count calories may feel hungrier than those who don’t, despite consuming the same amount of calories. In this study, researchers found that participants who took drinks labeled low-calorie before meals felt hungrier than those who took drinks labeled high-calorie. However, the drinks were actually similar, only the labels were different. 3. Counting calories may lead to nutritional deficiencies. You may ignore nutrients, if you mainly focus on calories. Most low-calorie processed foods are actually low in nutrients. Instead of counting calories, consume low-calorie plant-based foods. These foods won’t just give you lots of nutrients, but they’ll also keep you feeling full for longer. 4. You may assume that all low-calorie foods are healthy. As you continue to count calories, you may come to believe that all low-calorie foods are healthy. But the truth is, calories aren’t the only thing you should consider when making food choices. Counting calories can actually make you avoid high-calorie foods that are good for your health, such as olive oil and avocados. 5. You may give up on your weight loss goals. As I mentioned earlier, most people underestimate their caloric intake. This mistake can make people throw in the towel, because they start to blame other factors beyond their control, such as metabolism and genetics. People who don’t count calories are more likely to lower their caloric intakes, since they know there’s a possibility they’re overeating. Those who track calories are convinced they’re maintaining a deficit, which makes them less likely to eat less food. The goal of this article wasn’t to discourage you from counting calories. I just want you to be aware of the side effects of counting calories, so you can avoid them. 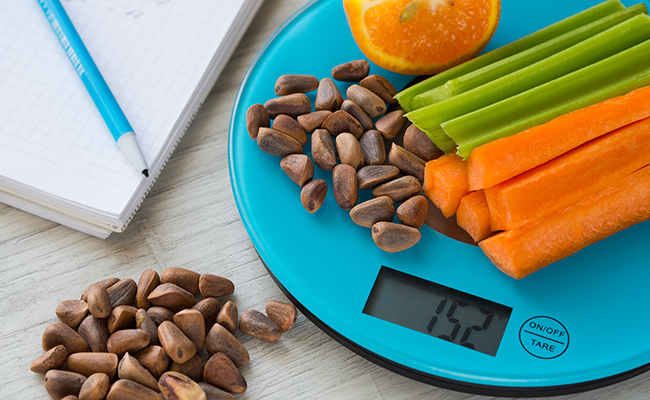 Keep in mind that counting calories will only work for you if you can accurately estimate your caloric intake. That might be harder to do than you imagine. Is Your Gut Health Thwarting Your Best Weight Loss Efforts? I honestly feel better about counting money. It's good anti-stress therapy.